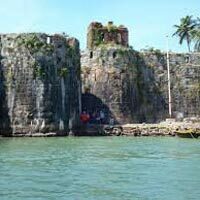 Sindhudurg Sea Fort - An impressive Sea fort was built in 1664 by the great 17th century Maratha King, Shivaji on Kurte island overlooking Malvan. A handprint and a footprint of Shivaji Maharaj is also embedded in one section of the fort. There is the only temple of Shivaji Maharaj in the world; the temple was built by Shivajis son Rajaram. Kunkeshwar Temple - Kunkeshwar Temple is an ancient Shiva Temple (built in 1100 AD) at Kunkeshwar having South Indian style of temple architecture. The temple is set right on the beach offering excellent sea views. There are caves near the temple having male and female warriors carved in black rock. Ganesh Temple Redi - Redi is a coastal hamlet at 20 kms from Vengurla and home to an ancient Lord Ganesha Temple. The temple is well visited all through the year by pilgrims. Amboli Ghat - Amboli Ghat lies on Sawantwadi - Amboli - Belgaum route and offers guests stunning views of the thickly forested valleys around. The area becomes very misty and visibility becomes poor during monsoon. Numerous waterfalls spring up spontaneously enroute during monsoon. Depart from Mumbai via Kolhapur and on the way visit Mahalaxmi Temple. Post lunch proceed for Amboli and cover sightseeing points such as river Hiranyakeshi origin point, Mahadev Gad point, etc. Overnight at Sawantwadi. Post breakfast, visit Vengurla beach, Rock, Sagareshwar temple and Redi Ganpati. 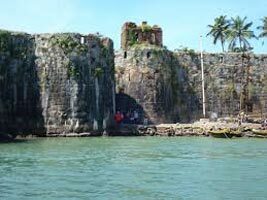 Post lunch visit Sindhudurga Fort and stay overnight at Malvan. Leave early morning for Kunkeshwar temple and have breakfast here. Next visit, Vijaydurga fort and en route have lunch. Depart for Mumbai.